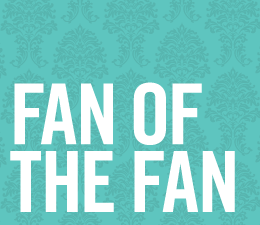 Fan of the Fan was established in March of 2009 as a way to keep interested Richmonders up-to-date on what’s going on in this historic Richmond neighborhood. fanofthefan.com is completely run by volunteers. They are always looking for people to submit content, pass along leads, share photos, and act as liasons with the Fan District Association and other neighborhood organizations. Project for Public Spaces (PPS) is a nonprofit planning, design and educational organization dedicated to helping people create and sustain public spaces that build stronger communities. Their pioneering Placemaking approach helps citizens transform their public spaces into vital places that highlight local assets, spur rejuvenation and serve common needs. Founded in February 2011, The Storefront for Community Design is Richmond’s non-profit design and building resource. It works with homeowners, organizations and businesses to encourage quality community development and strengthen the legacy of our urban neighborhoods through education, advocacy and participation. Storefront has been working with the Robinson Street Association extensively to create and implement a streetscape plan that fits our community.